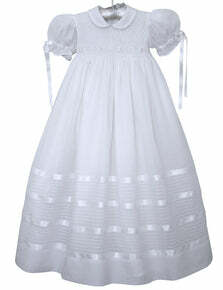 Absolutely beautiful is this ivory organza and taffeta christening gown. 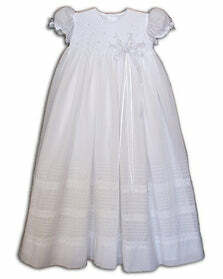 The collar is lined by lace. 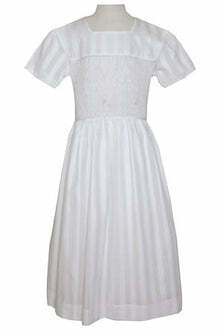 The hemline is covered with coordinating flowers,eyelets, and stitched vine. 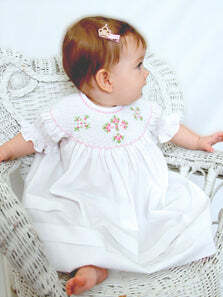 The smocking adorns the chest with flowers accompanied by seed pearls. The bonnet is also taffeta overlaid with organza and has matching embroidery. 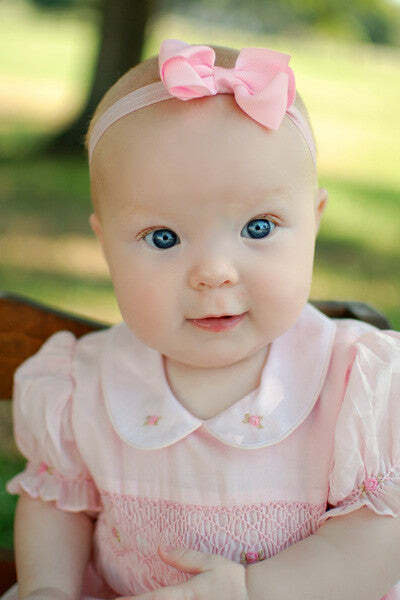 Two ribbons tie underneath the chin to complete the look. 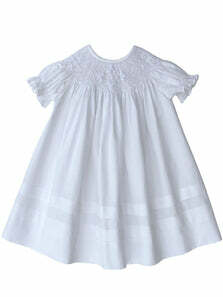 Perfectly lovely, elegant, and just right for your little angels precious day.